Spring shoe alert: One of Philly's biggest names in fashion has teamed up with a favorite local boutique to create some killer new kicks. In addition to the new line of shoes Bus Stop Boutique put out earlier this season, the shop has joined forces with NINObrand's Bela Shehu to release a unique collaborative shoe that any Philly-phile is going to need for their closet. 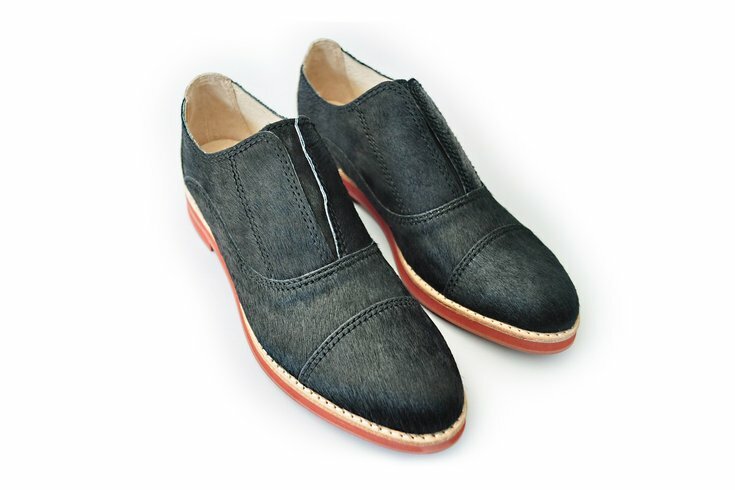 The NINOboo, a black slip-on oxford, is now available online. Made with black pony hair with silver detail, plus a red rubber sole, the pair is like a sleek big sister to the latest line of Bus Stop X oxfords. Created exclusively for NINObrand, they're in limited supply and will run you a cool $290, so shoe lovers should act fast. Love the look, but want them in a dozen more springy shades, too? Check the Bus Stop X line to find your match.